Meaning of “Shinshi” is the messenger of God in Japan. Shinshi is often represented by animals and mystical creatures. Shinshi animals are not only mammals but also reptiles, amphibians, and even invertebrates. Some animals are appeared in the oldest Japanese mythological literature “Nihon Shoki”. The most popular Shinshi animal is a fox. During the fall foxes go down from mountains to hunt mice that is the pest eating harvest. There is the folklore that the God of mountain also descends from mountains to villages in spring and back to mountains after harvests. The commonality between the mountain God and the behavior of foxes leads the belief in foxes. Oni is a devil figure in Japan, but not always brings bad luck to human. In the course of Japanese history three types of Oni have been depicted, blue, red, and yellow. Red one is the most popular among them. Only few plains are found in Japan and mountains are always beside people’s life. Mountains give both blessing and curse to people and by this image mountains turn into Oni. 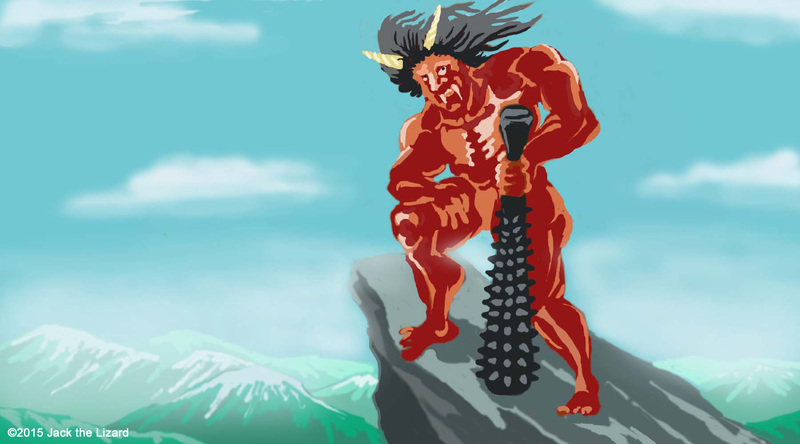 Oni's weapon is Kanabo, which had been used by samurai warriors since 14th century. 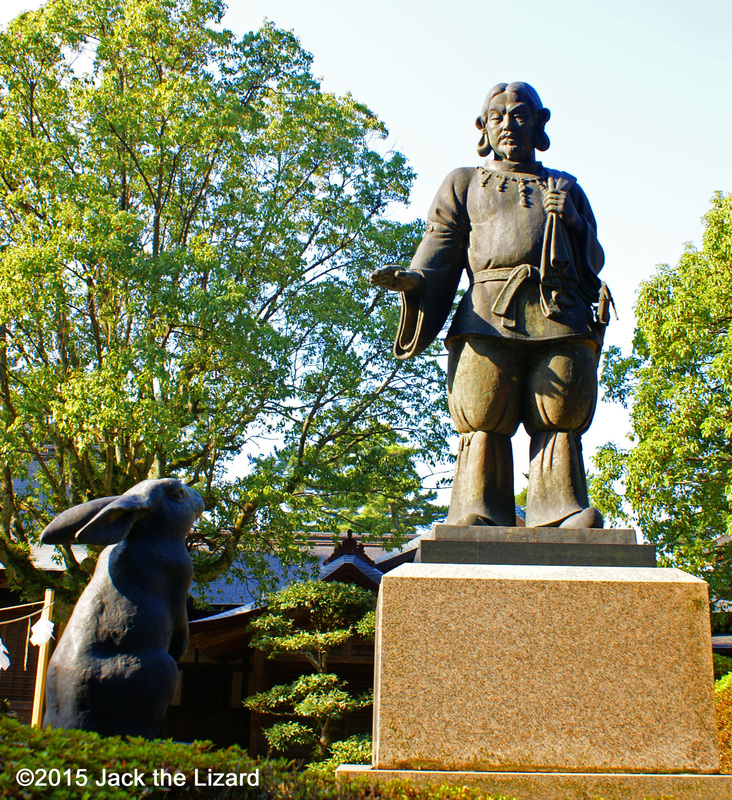 Shinshi animals are often depicted in sculptures and paintings in Shinto Shrines. Even some shrines rear those animals such as deer, macaques, and snakes in the precincts. Legendary animals such as dragons and phoenix are worshipped as well. Snakes are considered as the water God and a resemblance between snakes and dragons makes dragons also the water God. An octopus is believed to be an animal having curing power of sickness and agents of dragons. Since an octopus has incredible abilities such as distinguishing colors and learning, an octopus is thought as an animal brings fortune. There is also interesting ocean animal that is considered as Shinshi, a clam that is. In ancient Japanese myth the Goddess had healed the God who had gotten serious burn with the powder of clams. Since then people believed a clam has magical power that cures sickness and drives evil spirits away. Mine workers have worshipped a centipede because the gallery is similar to the form of a centipede. Then goldsmiths and metal workers also have believed the power of a centipede. Metallic image of a centipede has people think that a centipede bring fortune. Legs of centipede move smoothly without breaking the line. Samurai warriors also keep ranks to defeat adversary and never retreat like a centipede. That is why some samurai warriors prefer to put the image of a centipede on their flags. Ox is also a Shinshi animal because of its strength and use for agriculture. 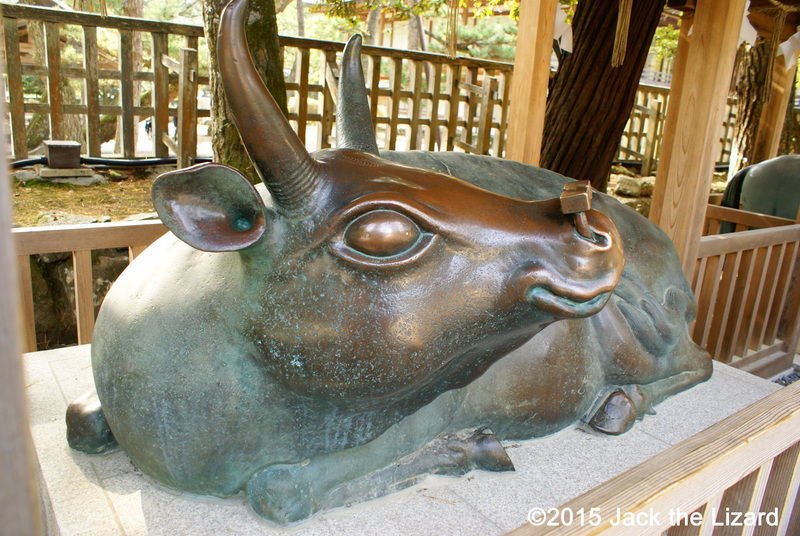 People believe that petting ox head brings luck. At Izumo Oyashiro in Shimane prefecture is one of the most important Shinto Shrine in Japan.